Jegs AN fittings and hose? Does anyone have any experience with the Jegs brand AN hose and fittings? I'm looking at the black Nylon braided hose and matching fittings in black/red. I want to replace the old steel braided lines and red/blue fittings in the wife's truck. I did look at those but they only come in all black. 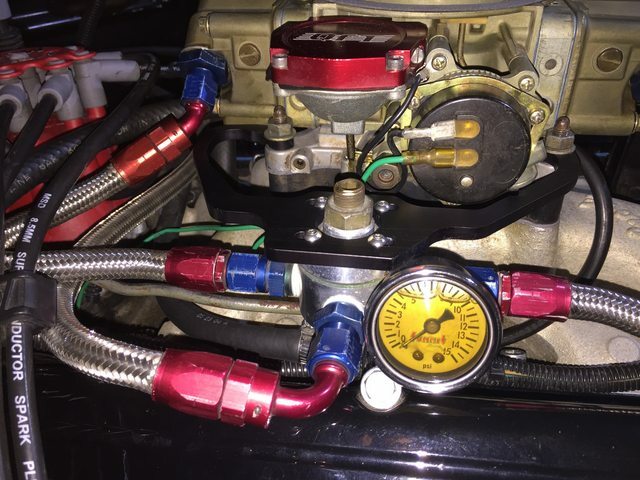 I ordered a bunch of fittings and hose from Jegs, the wife is happy with the look of the red/black fittings and the black braided hose. Not sure when I will get on this project but I think the engine bay will look much better afterwards!